Mentoring is back for 2014 School Enterprise Challenge! In this week’s blog we are talking about our exciting mentoring programme! All schools in the Schools Enterprise Challenge who have submitted a business idea are eligible to apply, so read on to find out more! What is the School Enterprise Challenge mentoring programme? Mentoring is when someone experienced shares their knowledge to someone else to help them succeed. Teach a Man to Fish has recruited a lovely group of mentors who have got enterprise knowledge and experience to help schools in the competition with their businesses. Through email communication, schools will be able to ask their mentors questions about their businesses, or any problems they are facing with the competition, and the mentor will be able to provide suggestions for how to overcome these. It is a fantastic opportunity to help your business be the best it can be! They will be there to support you until the end of the competition, so when times are difficult, you have someone you can ask for help. And, most importantly, someone to share the joy with when you succeed! 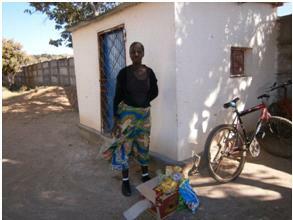 Last year, St.Vincent school in Zambia had a mentor to help them with their tuck shop enterprise . Their mentor gave them the idea to use the tuck shop to sell other products which they already produced, such as vegetables, eggs, and recycled bags, to generate extra income. The mentor also suggested that they run an opening event for the shop, to generate excitement and publicity for the new business. Another thing they highlighted was that loyalty cards might be a good way to keep existing costumers and result in even more sales. The mentor’s suggestions resulted in St.Vincent school running a very profitable business, and they have entered the competition with their exciting business development plans in this year’s competition! Think you would like to benefit from some similar support? Here’s how to apply! Visit: http://www.schoolenterprisechallenge.org/myhome/ and click on the “apply for a mentor” button. Then fill out the application form, and click “submit”. When we receive your application, we’ll look carefully at your business plan and why you have requested a mentor, to match you with someone with the skills and experiences which will be of most benefit to your school. Remember! The deadline to submit your business plan is September 15th! If you haven’t already submitted your business plan, you can still apply for a mentor, but priority will be given to the schools who have already submitted their business plans. There are only a limited numbers of mentors available, so try to include detail in your application to help us match you. This entry was posted in Uncategorized on September 12, 2014 by School Enterprise Challenge.